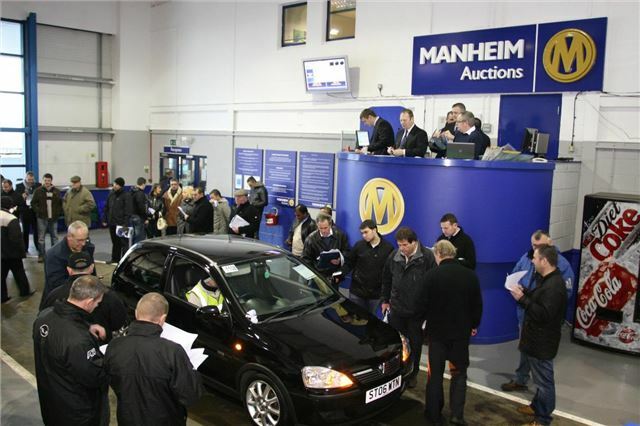 Manheim Remarketing's latest Market Analysis for Cars reports that overall average wholesale used car values fell by 4.4% (£306) in 2010 compared with 2009, average age increased by three months to 51 months and average mileage rose by 4,009 to 53,605 miles. The Fleet sector experienced the biggest decrease in 2010 as average values fell by 7.2% (£443) with Manufacturer stock down by just 1.1% (£126). Dealer part exchange prices actually rose by 5.5% (£118). In December average wholesale used car values fell 4.1% (£283) to £6,569 following two months of increases. However the overall fall in values couldn't dampen the demand for 4x4s where values increased in both the Dealer and Manufacturer sectors. Meanwhile Small Hatchbacks and Mini MPV values fell in all three vehicle sectors - Fleet, Dealer and Manufacturer. Average Fleet values fell by 6.4% (£395) to £5,741 and Manufacturer stock fell by 2.1% (£260) to £11,830. Dealer part exchange prices remained largely stable with an overall fall of just 0.3% (£7) to £2,268. Examples of falls in values for Fleet in December include Small Hatchbacks down 2.1% (£85) to £3,985, Medium Family vehicles down 6.1% (£333) to £5,091, Large Family down 11.5% (£559) to £4,294, Compact Executives down 4.4% (£360) to £7,809 and Mini MPVs down 5,9% (£281) to £4,460. Dealer part exchange prices for Small Hatchbacks fell by 4.2% (£78) to £1,776, Executives down 2.6% (£94) to £3,451 and Mini MPVs down 2.2% (£46) to £2,027. Meanwhile Manufacturer stock values for Superminis fell by 4.6% (£221) to £4,620, Small Hatchbacks down 5.4% (£434) to £7,633 and Mini MPVs down 11.5% (£1,533) to £11,800. The only increase in average values in the Fleet sector was for Executives, up 3.0% (£297) to £10,039. Dealer part exchange Superminis rose by 7.8% (£108) to £1,496, Large Family by 3.2% (£56) to £1,785 and 4x4s by 9.6% (£503) to £5,721. In the Manufacturer sector notable increases in value include Large Family up 3.6% (£433) to £12,344, Executives up 10.9% (£1,843) to £18,720 and 4x4s up 25.3% (£4,975) to £24,638, due not only to increased demand but also in part to a change in model mix. Mike Pilkington, Managing Director, Manheim Remarketing said: "After a dramatic rebound in values during 2009, it was perhaps inevitable that with the continued economic uncertainty there would be a fall in values in 2010 and a return to more traditional patterns of price seasonality. The poor weather provided an additional challenge in December but the availability of our online buying channels helped keep the market moving with record sales for us online in the month. The inclement weather at the start and end of 2010 has certainly boosted 4x4 values across all wholesale sectors despite record fuel prices."